Earn $7.99 in VIP credit (799 points)What's This? 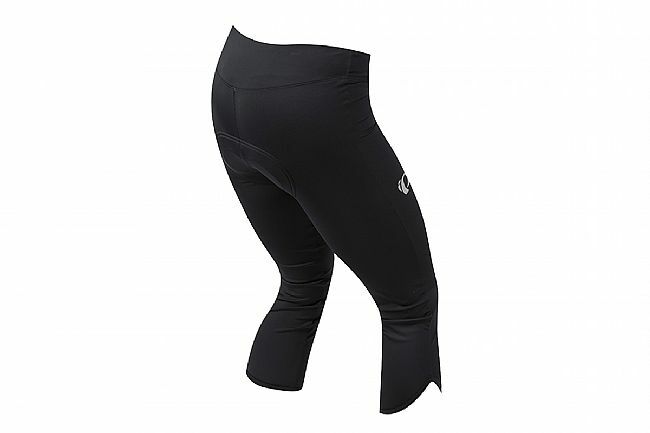 Pearl Izumi's Women's Select Escape Cycling 3/4 Tight offers comfort and added coverage for warm to mild weather. The form-flattering, scalloped opening provides a non-restrictive fit. SELECT Transfer fabric offers both compression and moisture transfer. The women's SELECT Escape 1:1™ Chamois has a blended, edge-free surface and just the right amount of cushioning to supports proper on-bike positioning. Edge-free women's SELECT Escape 1:1™ Chamois.